Black metal frames with double-nose bridge. 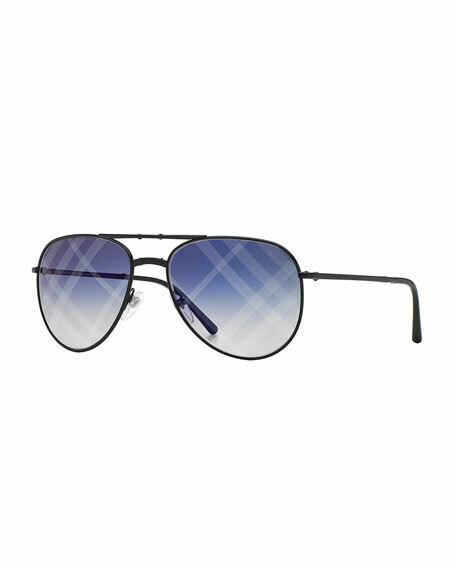 Blue gradient, mirrored lenses with signature Burberry check. For in-store inquiries, use sku #274221.